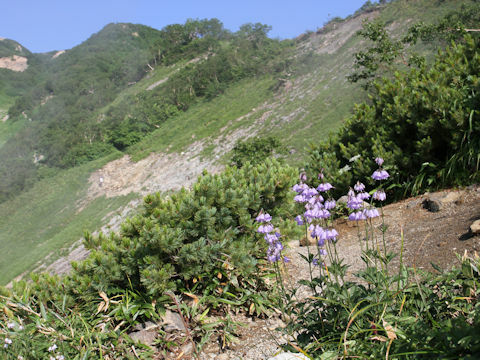 "Hakusan-shajin" (Adenophora triphylla var. 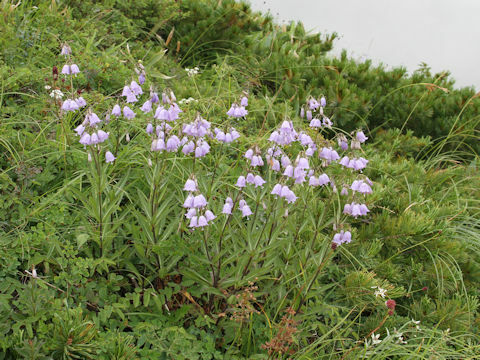 hakusanensis) belongs to the Campanulaceae (the Bellflower family). 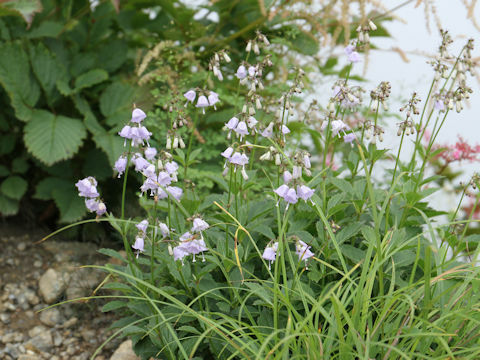 It is a perennial herb that is endemic to Japan and distributed northward from Chubu district of Honshu. 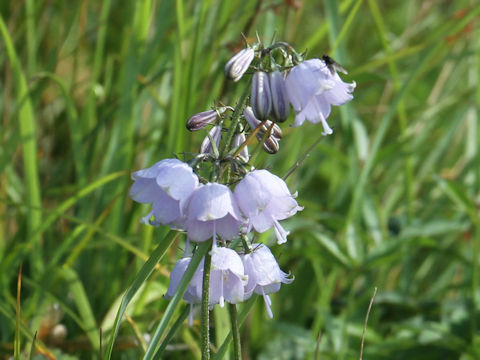 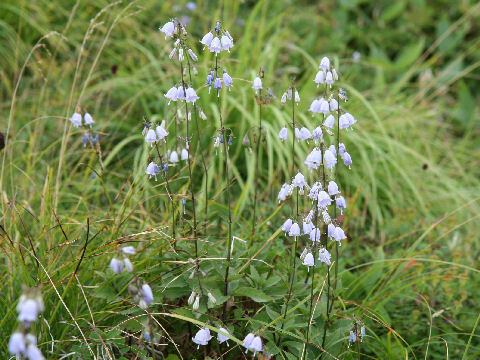 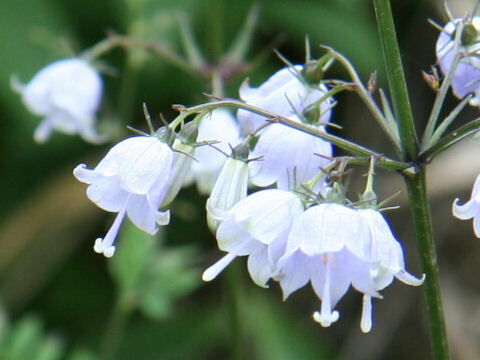 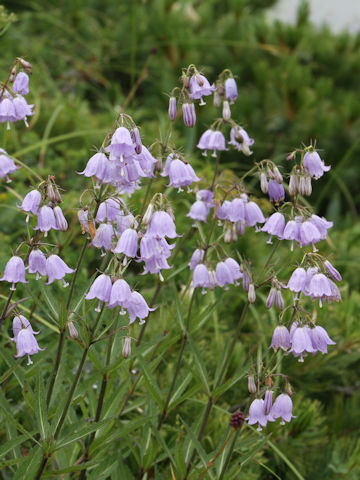 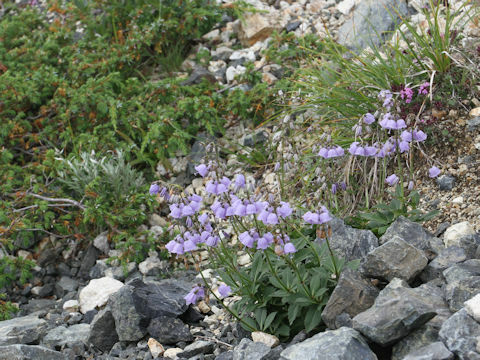 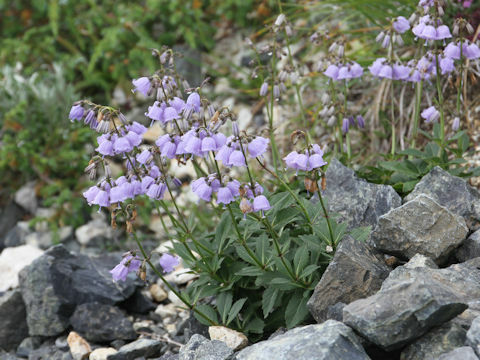 It is an alpine variety of Ladybells. 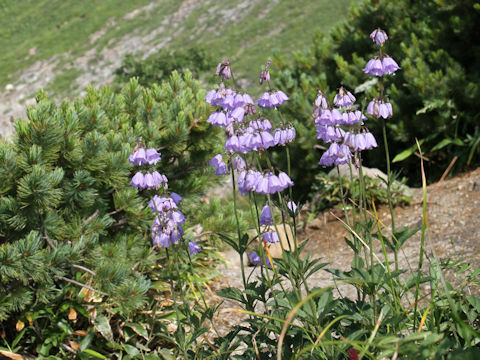 This herb grows in sub-alpine to alpine grasslands and can reach 15-50 cm in height. 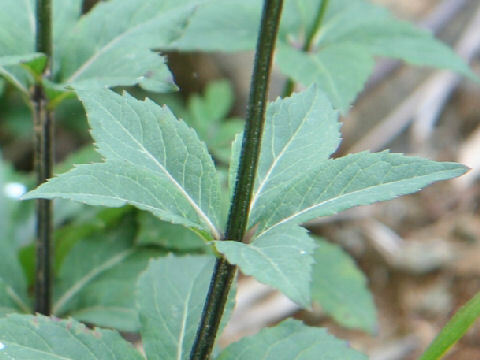 The leaves are ovate-elliptic, serrated, and 3-5 whorled. 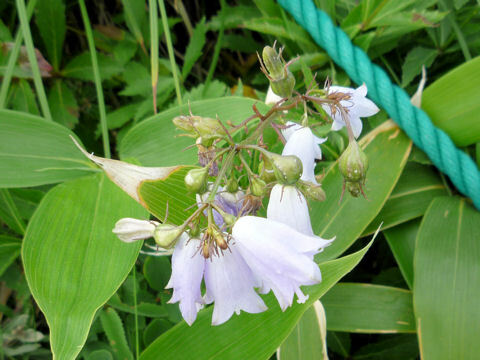 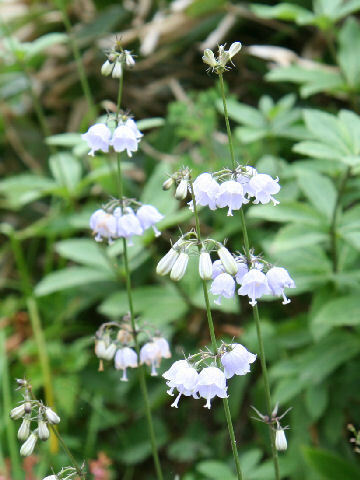 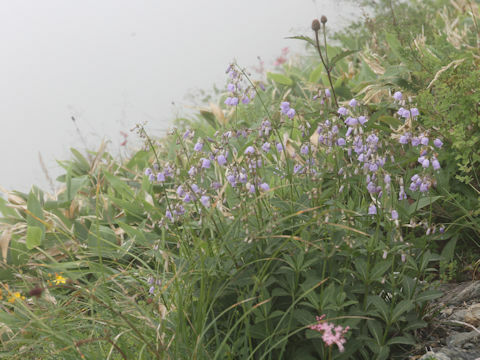 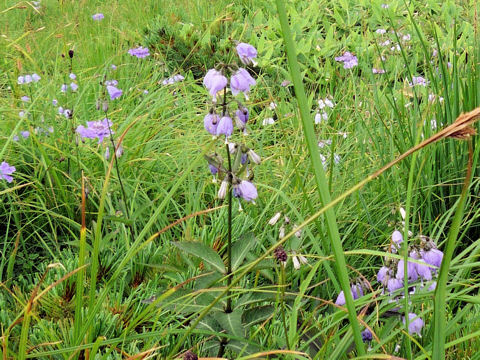 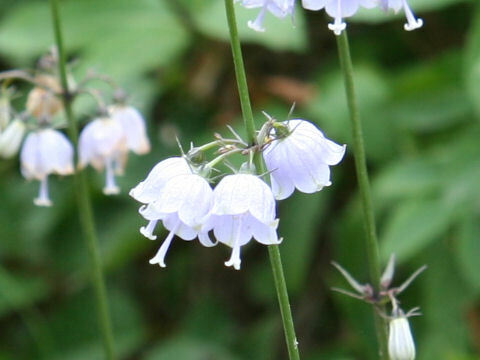 "Hakusan-shajin" produces pale bluish-purple bell-shaped small flowers in whorls on the upper stems from July to August. 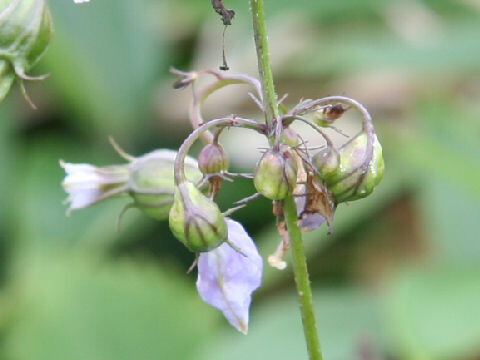 The calyx lobes are linear, serrated or entire.